IHC CHINA 2016 - China International Health Care Fair 2016 is to be staged in the newly-built exhibition hall of Xiamen International Conference & Exhibition Center (XICEC), China during 21st - 25th April, 2016 with a total gross exhibition area of 12,000? with 500 international standard booths. Featuring innovative products and technologies, IHC CHINA intends to create a personal health fair/expo with the highest potential. IHC China 2016 broadly covers food, clothes, shelter, and travel with products from smart wear to online medical, from fitness to Ehome, from physical health to health service. 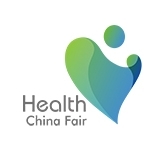 IHC CHINA 2016 - China International Health Care Fair 2016 devotes itself to retailers, bridge brands, media & customers, making the best platform of business communicating and expanding. IHC CHINA 2015 attracted 150,000 visitors including 30,000 professional buyers from Southeast Asia, mainland China and other 12 provinces and cities.